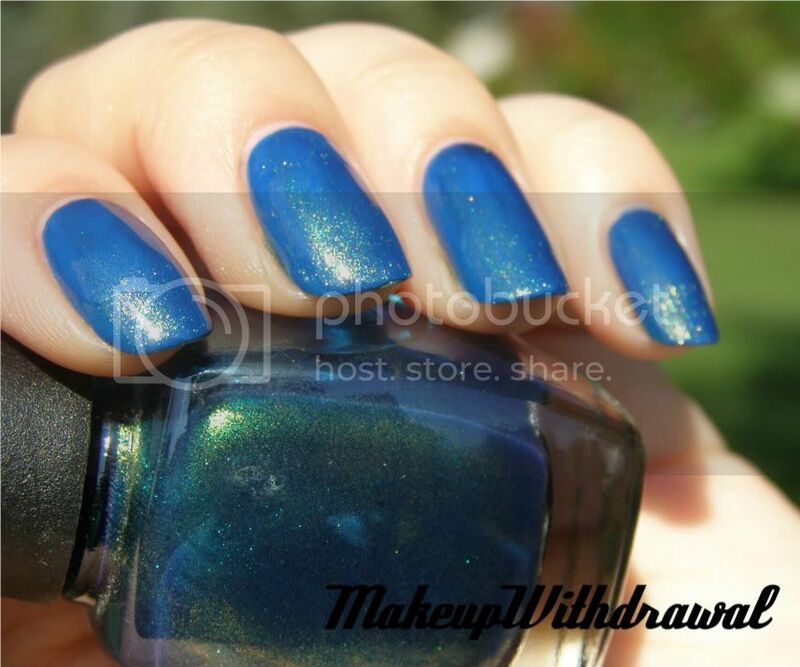 I finally got around to taking pictures of one of my favorite in-the-bottle colors, NYX Jungle. Is Axl Rose crooning in your head right now? Because Welcome to the Jungle is certainly playing in my brain. Back to the fabulous nail polish. 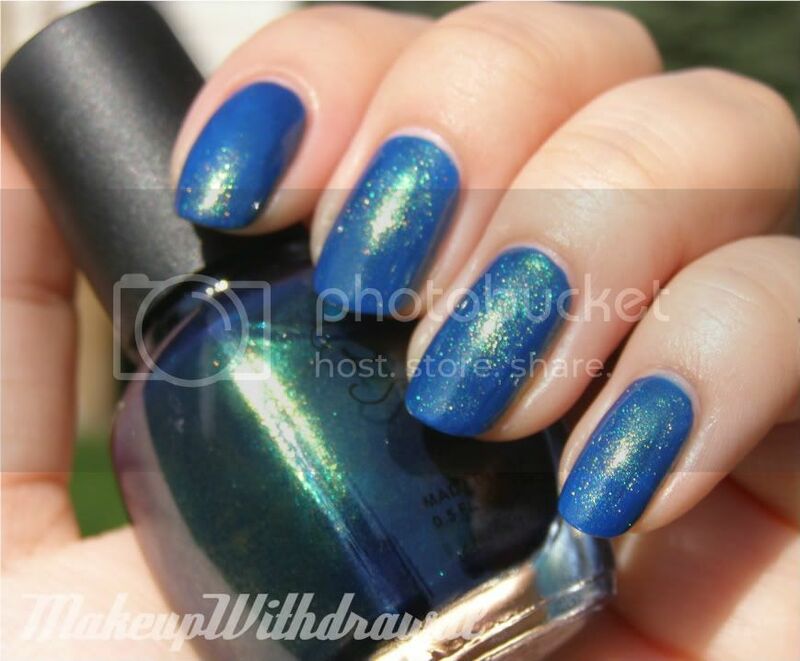 Jungle is a bright translucent blue jam packed with gold shimmer. At first, there looks like there is flashing duochrome teal or green but if you look closer, it's just this polish playing tricks on you! 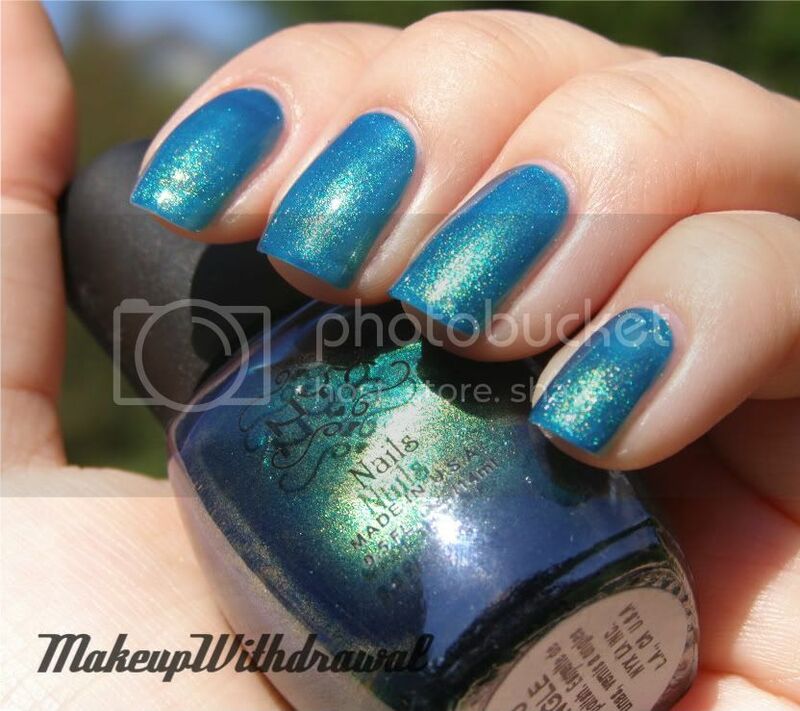 The teal or green flash is from how deep the gold shimmer is suspended inside the polish. It's a marvelous effect. It was quite sheer on the nail, with three full coats I could still see my smile line and I didn't think a fourth would really help so I decided to put on underwear. Of the blue variety. Something about this combination just makes the color pop cobalt blue. And here's a picture in the shade so that you can see how the shimmer gets that green cast. Absolutely gorgeous. 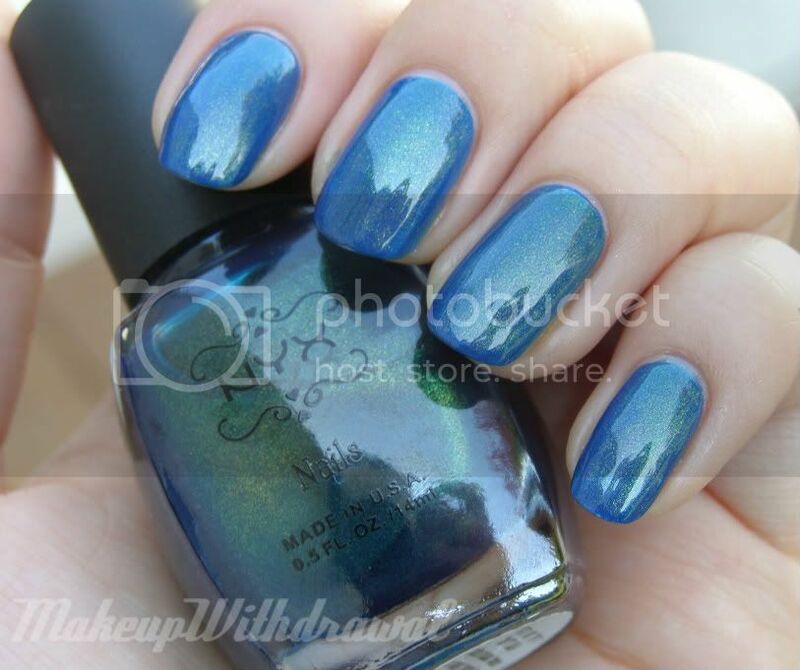 I wish I could get my nails to look exactly how it looks in the bottle, it has so much depth, so much color. You should get this. You need this in your life. I'm doing you a favor by telling you how awesome it is, honest. What's your favorite NYX polish? 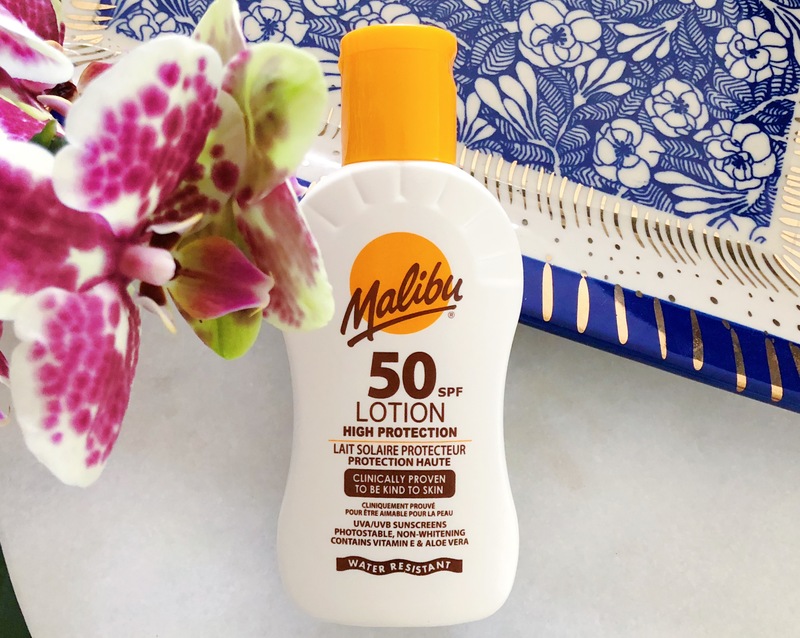 Products featured in this post were purchased by me for my own use. For additional information, please refer to my Disclosure Policy.